Tourist Farm "Gaydamak Valley" - a modern country holiday complex, which is located on the territory of the village of Bush at the entrance to the tract Haydamaksky yar. 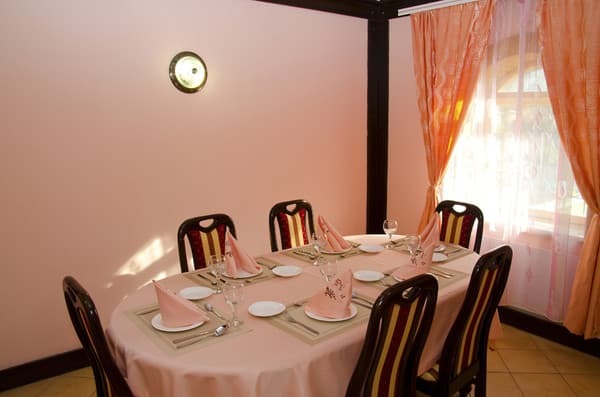 The complex combines the atmosphere of home comfort, Ukrainian hospitality and comfort. At the disposal of the guests of the estate are single and double rooms. The shared bathroom is equipped with modern plumbing and 24-hour water supply. There is a summer terrace, gazebos and a brazier for guests. For comfortable living there is a café with cozy halls. Tourist Farm "Gaydamak Valley" is located 22 km from Yampol, at a distance of 156 km from Vinnitsa. 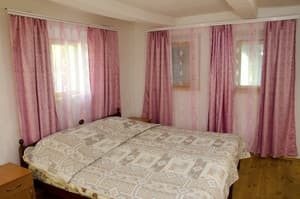 Description of the room: The room has 3 beds, bathroom with shower and toilet, uninterrupted supply of hot and cold water. Children under 5 years stay free of charge in the room without extra bed. Children from 5 to 12 years old receive a discount of 50%. 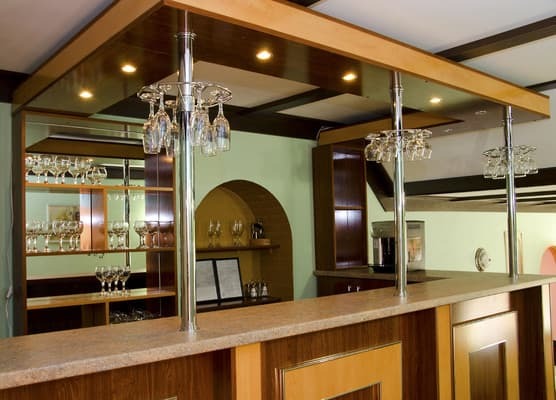 On the territory of the complex there is a cafe-bar with cozy halls. The menu of dishes of Ukrainian cuisine. There is a possibility of meals by arrangement (three meals a day). The tourist farm is located on the territory of the Busha village of the Yampol district of the Vinnytsia region at the entrance to the Haydamak yar tract. The distance to Yampol is 22 km, from Vinnytsia 156 km.